Louvered style. Choose between Antique Brass or Titanium White over solid cast brass. Low profile - Ideal for mounting on fences and stair risers. Patented. 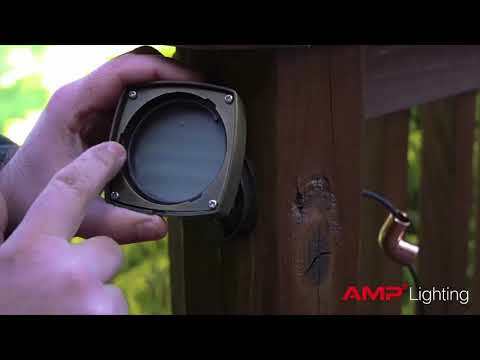 The AMP® Deck-Design Pro™ Louvered Deck Light is a compact solid cast brass fixture that projects an oblong region of illumination ideal for steps, stairs, decks, and docks. The louvered design sends light more in a forward direction than the other two styles. This makes it perfect for applications where the light needs to be mounted lower such as on stair risers. Dark Sky Approved - certified by International Dark Sky Association.